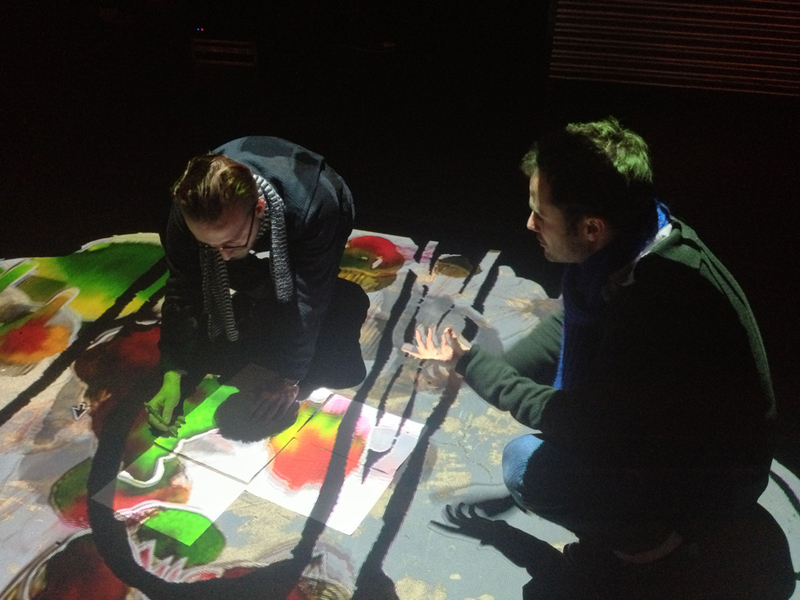 Following our first artist residency last June, I joined in with the QuboGas team and musician DDDIXIE for a second work session on our Ooo-Ya-Tsu performance at music venue L'Aéronef, in Lille. We started refining our projection video setup and doing the first animation test for the visual elements. As we were ironing out some technical problems with the dual projector setup, DDDIXIE's intriguing sounds also started to fill the air... We even got to show our work to a group of school pupils visiting the venue on the last day. Many thanks to the team at L'Aéronef for their enthusiastic support and to Petit Seb of Digital Vandal for the video tweaking!